Home » Blog » Listerine in Hair: Good for Dandruff and an Itchy Scalp? Unless you live in an area where it snows year-round, it can be hard to explain away the white flakes lining your collar and shoulders. Dandruff does no one any favors, and although it is nothing more than dead flakes of skin, it gives pretty much everyone the creeps! According to The Daily Mail, dermatologists report that most people will struggle with dandruff at some point in life. (1) When your time comes, you will want to have a remedy handy to address the issue ASAP! 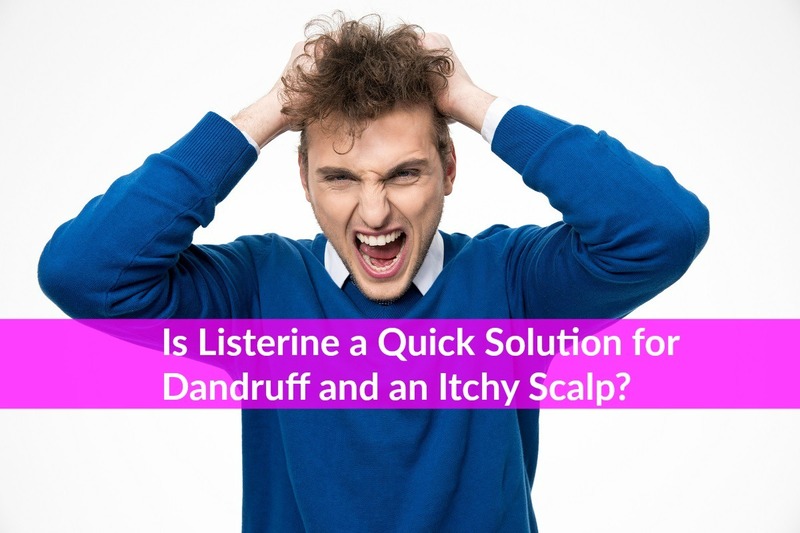 In this article, learn how Listerine in hair (yes, the same product you know of as a mouth wash) can help you get rid of dandruff and ease an itchy scalp too. For most people, the first sign of dandruff is one of two things: an itchy scalp or the appearance of white flakes on the neck and shoulders. Sometimes both appear at the same time. 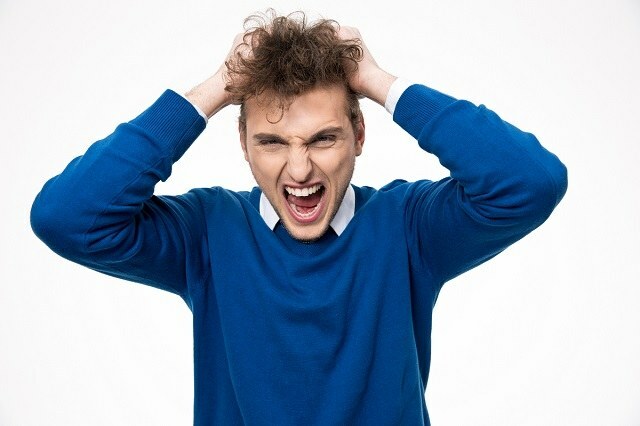 Rather, dandruff is typically triggered by a combination of too much oil on the scalp and a yeast that likes to feed on the oil and cause the skin to flake off faster. Other less-common causes include psoriasis or seborrheic dermatitis (seborrhea), a skin rash that is similar to psoriasis, eczema or skin allergies. » Essential Oil 1: Eucalyptol. Eucalyptol comes from the tree by a similar name, the Eucalyptus tree. Eucalyptus essential oil has anti-bacterial and anti-fungal properties. » Essential Oil 2: Menthol. Menthol comes from the corn mint or peppermint herb plants. Menthol contains active anti-inflammatory, anti-septic, anti-bacterial and anesthetic (pain relieving) properties. » Essential Oil 3: Thymol. Thymol is derived from the Ajowan herb plant, which is known for its anti-septic, anti-bacterial and anti-microbial properties. It is also a natural germicide. » Essential Oil 4: Methyl salicylate. As the history tells it, Dr. Lawrence and pharmacist Lambert named “Listerine” after one of their heroes, Dr. Lister. Dr. Lister is credited with introducing the use of antiseptics into hospitals and operating rooms, which greatly reduced patient deaths. Their theory was that, in most cases, much of the surface inside the mouth that requires cleaning doesn’t get reached by tooth brushing alone. But using mouth wash for 30 to 60 seconds following tooth brushing can reach all the surfaces that need to be cleaned and sanitized. It was also used to treat the sexually transmitted disease (STD) gonorrhea before it eventually was marketed for use as a mouth wash, which started around 1914. » Anti-fungal. Listerine repels and neutralizes fungi. » Anti-septic. Listerine cleanses and sanitizes. » Anti-bacterial. Listerine repels and neutralizes bacteria. » Anti-inflammatory. Listerine eases swelling and irritation. » Germicide. Listerine repels and neutralizes germs. » Anti-allergen. Listerine eases allergic reactions such as skin rashes and itching. If you do a quick internet search, it won’t take much effort to find long lists of all the problems a bottle of Listerine can cure for you. Here, curing dandruff is one of the most frequently mentioned issues, and at one point its manufacturers actually marketed Listerine as a cure for dandruff, lending credence to the wealth of anecdotal evidence from former dandruff sufferers that Listerine worked for them. And a beauty vlogger on YouTube who filmed herself using Listerine to cure her dandruff recently got more than 300,000 hits, further reinforcing her claims by showing her followers the “before” and “after” results of her Listerine spritzer recipe via video. The original (orange colored) Listerine is highly recommended as the one to use to treat dandruff and dry scalp. If you can’t find the original Listerine, just look for a formulation that sticks as close to the original recipe (noted here earlier in the section titled “What is Listerine?”) as possible. » First, wash and condition your hair. » Next, combine one part Listerine and one part plain water in a spritzer bottle (adjust this to one-half part Listerine to one part plain water if your scalp has a tendency to be sensitive). » Spritz this mixture all over your scalp only. » Massage the Listerine and water mixture into your scalp with your fingers. » Leave it in for about 5 minutes (or as long as is comfortable up to 5 minutes). » Rinse your scalp area with cool water and towel dry. » Before you spritz on the Listerine and water mixture, spread conditioner on your hair ends and up to about one inch above the roots. This will protect your hair from the drying properties of the Listerine. » Do a small patch test on a part of your scalp before using the Listerine and water mixture all over your scalp. This way, if your scalp turns out to be extra-sensitive, you can add more water before you use the mixture all over. » If you have areas on your scalp that are raw or you have any small cuts or scrapes, try not to spray the Listerine on those areas because it will cause stinging. Does Listerine Have Any Side Effects? The main side effect to watch out for when using Listerine to cure dandruff is that it can sting if you have a sensitive scalp or you have any small abrasions or scrapes (however, using Listerine on these areas will ensure they are clean and sanitized, which can speed up healing). Another possible side effect to be aware of is that it can be extremely drying on both your hair and your scalp. If at all possible, you should avoid using it on your hair. If necessary, coat your hair with conditioner to protect it. But dandruff, which is caused by a fungus (usually an overgrowth of yeast on the scalp) is NOT the same as simple too-dry skin. So before you use Listerine to treat dandruff, be sure that you really have dandruff. Otherwise, using Listerine on your scalp is likely to just make the flaking worse. If you are reading this article looking for a home remedy to get rid of your dandruff, you have found a remedy that thousands of people swear by: Listerine plus water spritzed onto the scalp. » Do a small patch test first. » Adjust the amount of Listerine you add to the water based on the patch test results. » Condition your hair to avoid extra dryness before using the Listerine spray. » Be sure to rinse your scalp afterwards. » Use no more than once per week.